Aspergillus, a hyaline mold, causes a variety of clinical conditions ranging from colonization to invasive pulmonary aspergillosis. Immunocompromised patients, including those with hematologic malignancy, stem cell, or solid organ transplantation, are most often affected and mortality due to invasive aspergillosis remains high even with advances in antifungal therapy and management. Successful therapy depends not only on an early diagnosis—which is often difficult to establish—but, even more importantly, on reversal of underlying host immune defects, such as neutropenia or high-dose immunosuppressive therapy. Nonculture-based tests and radiological approaches can be used to establish an early diagnosis of infection and may result in improved outcomes of infection. Even when a therapy begins promptly, efficacy of the therapy is poor, particularly in patients with disseminated or central nervous system disease. 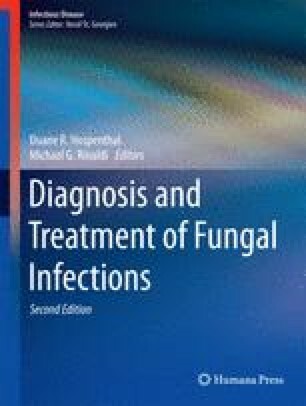 Recent developments include more widespread use of newer diagnostic approaches and improved understanding of how best to use available antifungal agents.